Cranfields Chartered Accountants are able to adapt our payroll, auditing and accounting procedures to fit our clients’ individual needs whilst ensuring compliance with all the necessary standards. Please have a read below to find out more on these services offered, and if you wish to speak to us about any of our services then please feel free to contact us using the details provided on our contact page. Keeping on top of your payroll administration can be time consuming and tends to divert energy and resources from the main activities of your business. As well as this taxation and employment legislations are becoming more and more complex over time along with the accompanying regime of penalties for non-compliance. Our dedicated payroll team provide a full and integrated payroll service to a wide range of clients, from small business to large corporations. Whilst working with you we will provide a guarantee of confidentiality and our assurance that our team with take special care an attention with all aspects of your payroll function. 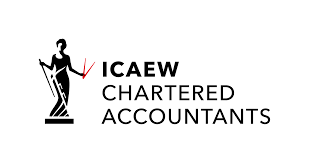 Cranfields is registered to carry on audit work in the United Kingdom by the Institute of Chartered Accountants in England and Wales; details about our audit registration can be viewed under reference C007062874. As with all services we offer, our accountants aim to ensure that your business receives optimum value from our auditing process in a practical manner. We aim to gain a good working relationship with your business, as our team will help support your in-house teams in a manner that mirrors your structure. We work with all the major software packages and our accountant staff members have had training in multiple programs to make sure we cover the spectrum and be able to match and adapt our technical process with your requirements. On completion of the audit, we will report back to you and provide you with recommendations for dealing with key aspects of the process. Any such reports will be discussed with you prior to completion to obtain the most accurate summary and feedback. For more information on our payroll and auditing services please contact us using the Contact Us page.